Bristol is already a great place for beer. There’s The Volley, The Beer Emporium and The Small Bar all in King Street – which is just around the corner from BrewDog – and then, close to Temple Meads rail station, there’s Bristol Beer Factory’s flagship pub The Barley Mow not to mention a host of other pubs and bars in various districts and/or suburbs. Could Bristol get any better for beer?! Yes… because Moor Beer have just moved into town. Distance-wise it isn’t a big move, it’s just under 40 miles to Bristol from their former site at Pitney on the Somerset Levels, but going from rural to urban and to a much bigger site heralds a new era for this already great brewery headed up by Californian Justin Hawke. Justin bought the site at auction earlier this year but didn’t get the keys until April, since when work has been taking place to turn a former auto repair shop into a state of the art commercial microbrewery. At 20 barrels it may not be the biggest but it is one of the best. That’s me saying that by the way as Justin isn’t the boastful sort. What sort is he? He’s the sort of brewer who believes that attention to detail is absolutely vital. To describe it as an ethos of military precision in no exaggeration. A former soldier in the US Army Justin freely admits his attitude to brewing is partly influenced by his four years at West Point Military Academy. This is great news for beer lovers. Brewing is a skilled business where things need to be done properly. Those not able, or not prepared, to maintain the highest of standards probably aren’t cut out for the job – and certainly won’t make it into my brewing hall of fame. Beer of course isn’t made by accuracy and precision alone. Justin’s love of beer was inspired by his father, who was a huge Michael Jackson fan (no, not the pop singer, the beer writer). He recalls his dad going on beer hunts and gaining a love of cask ale on trips to England. 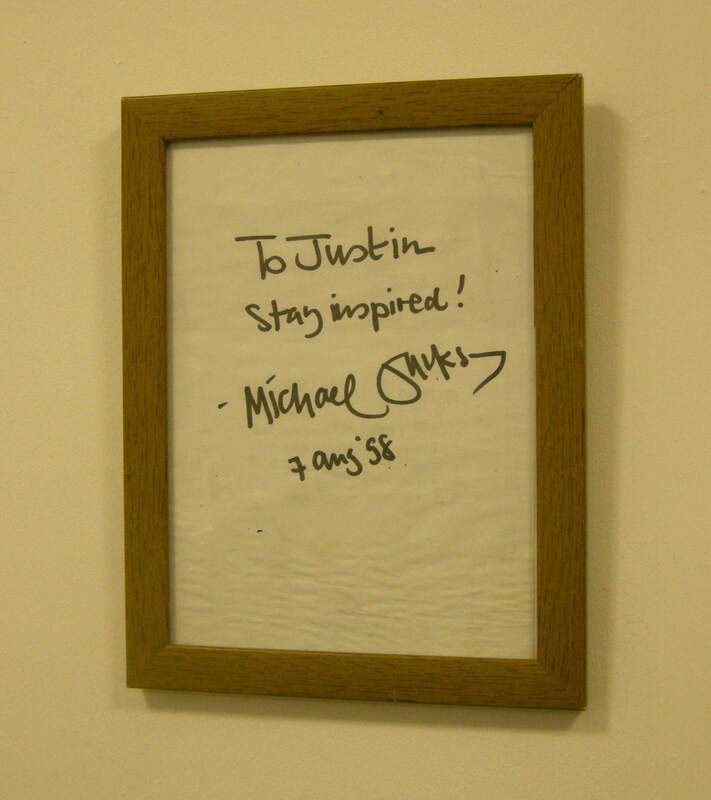 Justin himself began reading Michael’s books and eventually met him. A framed autograph hangs on the wall of the brewery as a memento of an important moment and proof (were it needed) of the passion behind the cool head for business. Moor Beer’s new site combines the best of the former brewery with the benefits of a larger space which was a blank slate awaiting design. 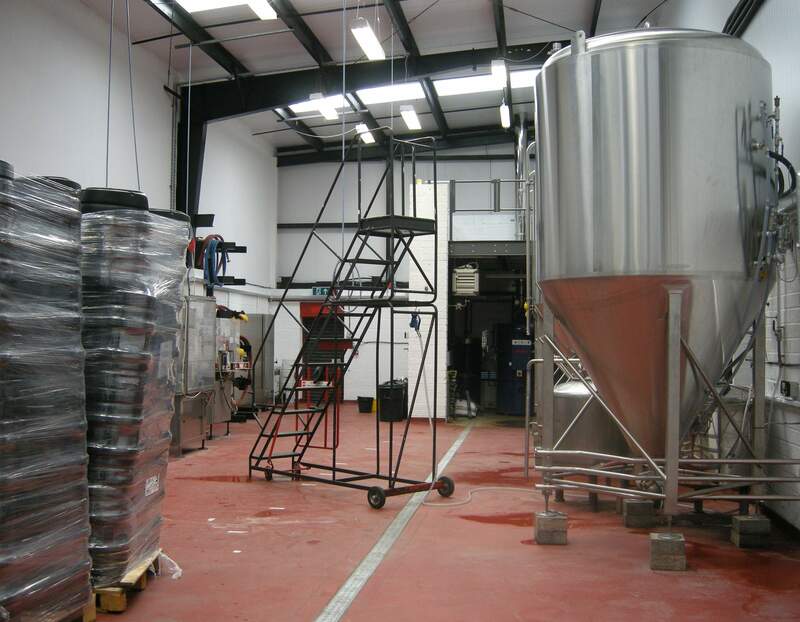 The same brewhouse kit and bottling line have been installed and four fermenters also made the trip up the M5. They will soon be joined by three additional fermentation vessels (FVs) and there is space for seven more – which Justin says he expects to fill in due course when the time is right for further expansion. The new site has also allowed for improvements to Moor’s brewing process which will enable further efficiency, (“We learned a lot from brewing in a barn,” says Justin), which means there’ll soon be even more Moor Beer to enjoy! Not only that, but come the start of 2015 Moor Beer will also have a canning line. A self-confessed can sceptic Justin and his team engaged in a lot of side-by-side testing of the same beers in bottles v cans until they were truly convinced cans keep beer perfectly fresh and are to be embraced rather than dismissed as a craft beer fad. Work in progress: Brewing is already under way at the new Moor Beer site in Bristol, but it will be 2015 before the pictured steps are replaced by a canning line. By far the most exciting part of the new site for me though is that it will have a tap room and ‘growler filling station’ which means the chance to drink brewery fresh beer on site and take a drop home with you too. There’s also an outdoor space – with plans to hold events and host pop-up food trucks so there’ll always be something interesting going on. Moor’s Mike Cable and Justin Hawke mime pouring beer. 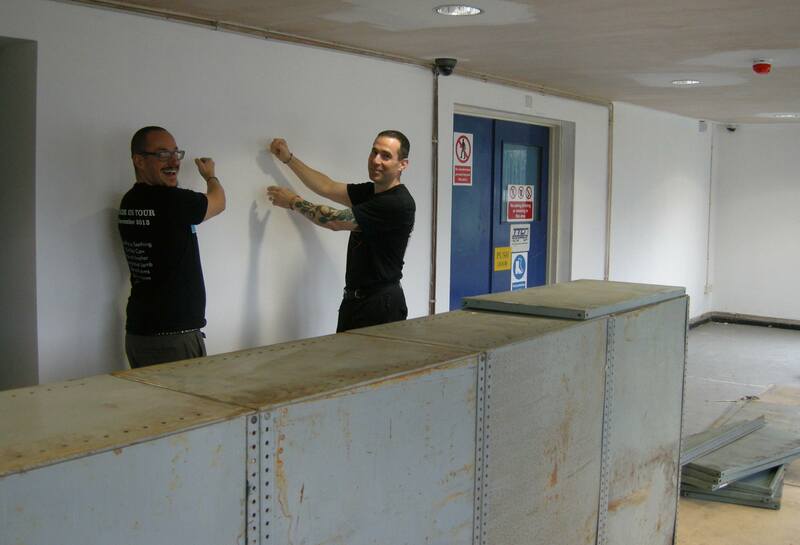 They’ll be doing it for real once the taproom is fitted out and officially opened. Opening hours and further details are yet to be confirmed but Justin says he doesn’t want the tap room to be an all day drinking place and will even have opening times that encourage people to make the most of Bristol’s many marvellous pubs. It’s all very American. Which is to say a fab place to go for a beer whether you’re local or a visitor; a great place to learn about how beer is made and how it should be served, along with being a part of the local community… so all in all I’d say the arrival of Moor Beer marks a lucky day for Bristol. Work on Moor Beer’s new brewery and tap room site (a five minute walk out the back of Temple Meads station) is currently still ongoing but expect an announcement regarding an official opening in the near future – so keep an eye on the news page on the Moor Beer website.